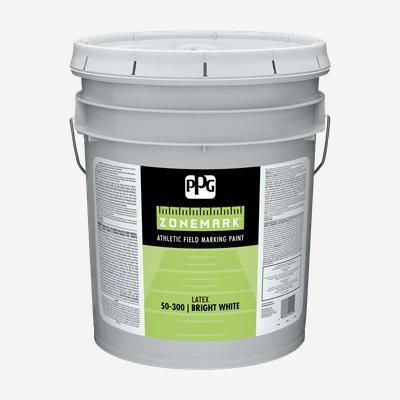 ZONEMARK™ Athletic Field Marking Paint is a professional quality latex paint designed for line striping or other marking applications on all types of athletic fields. It is easy-to-apply by spray, brush or roller and water-reducible to make the paint go even further, while providing good coverage. The fast-drying formula is designed to remain on the field and keep uniforms clean. Recommended for use on dry, natural athletic surfaces.